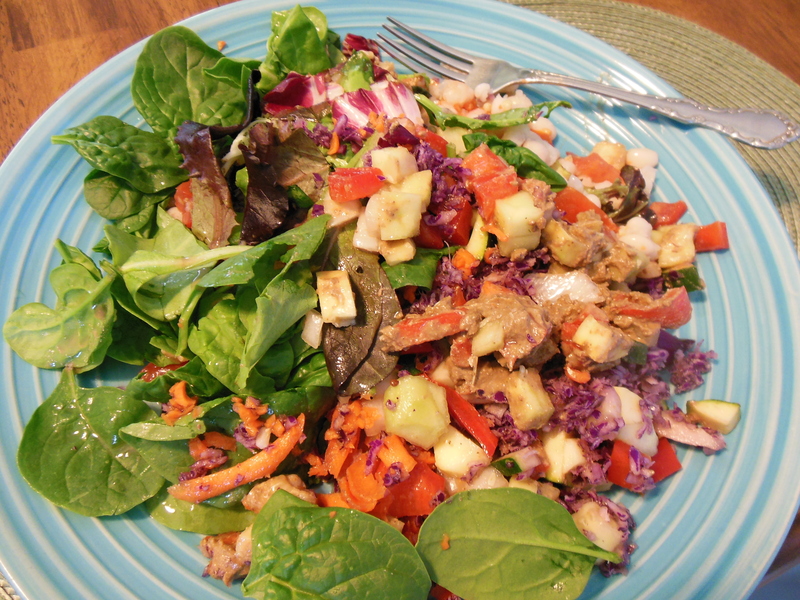 Here’s a great recipe idea for being prepared to enjoy a salad every day as the main dish. 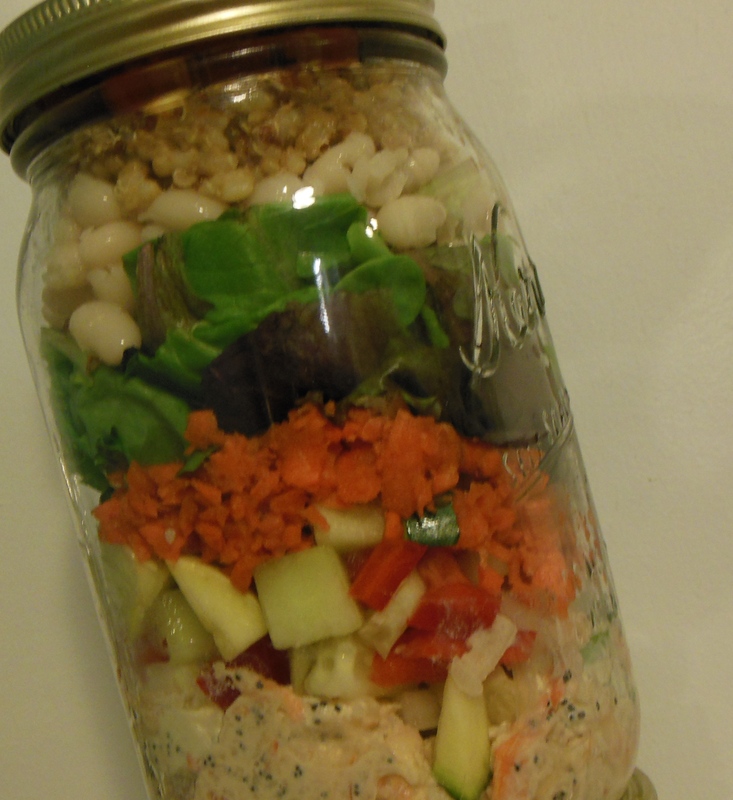 Salads in a Jar — they are fun, easy! It’s really a snap and don’t be afraid to use your imagination. My daughter told me about this idea, and I just had to try it. Really, I thought? I can make 5 to 7 salads on Sunday night and have them taste fresh for the whole week? Yes! 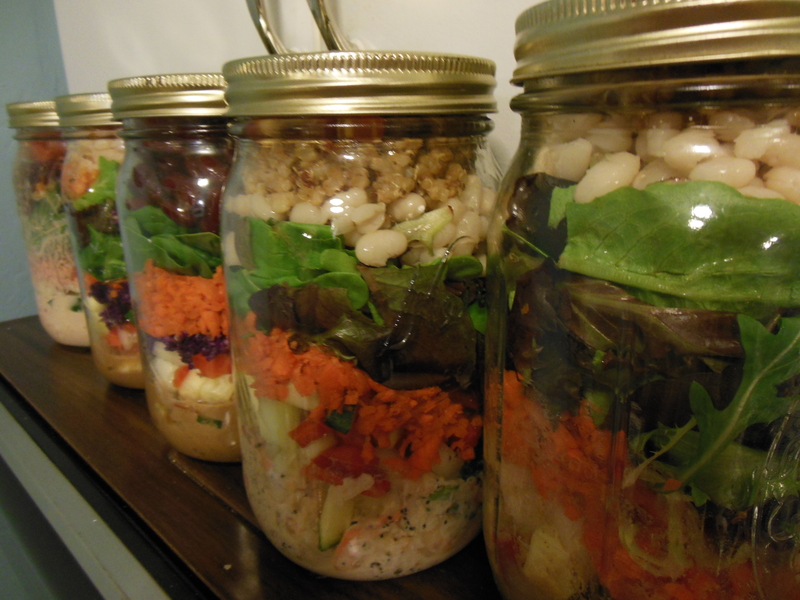 It’s true using a jar will keep your salad fresh for several days. 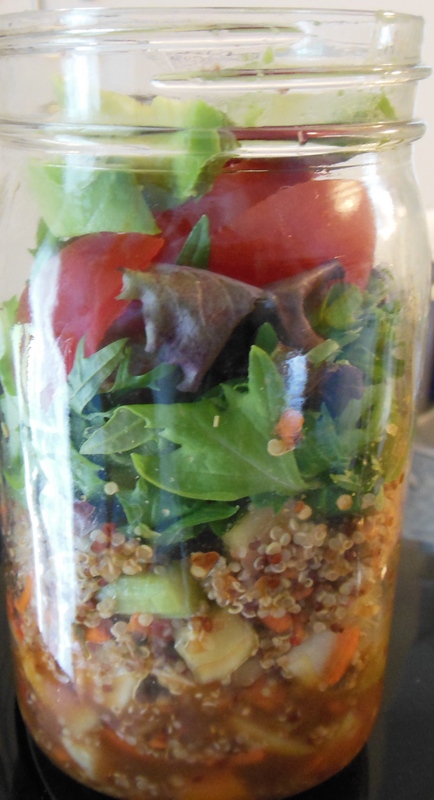 Using any type of quart canning jar is the perfect shape that lets you put the salad dressing on the bottom and layer the rest of the ingredients on top so you never have to worry about forgetting the dressing, and it doesn’t make the lettuce or spinach soggy! Layer 2: The hearty/heavy vegetables which will stay nice and crisp during the week. Layer 4: Pasta and Grains. If you want — you can use any type of pasta, rice, couscous, rice, or quinoa. Layer 5: Lettuce – romaine, arugula, butter lettuce, or baby spinach — whatever you love – the ingredients you don’t want to wilt or become soft or soggy. Layer 6: If you want to add a few nuts or seeds, do so now and they won’t lose their crunch. Truly, you’ll be amazed at the size your salad will be. 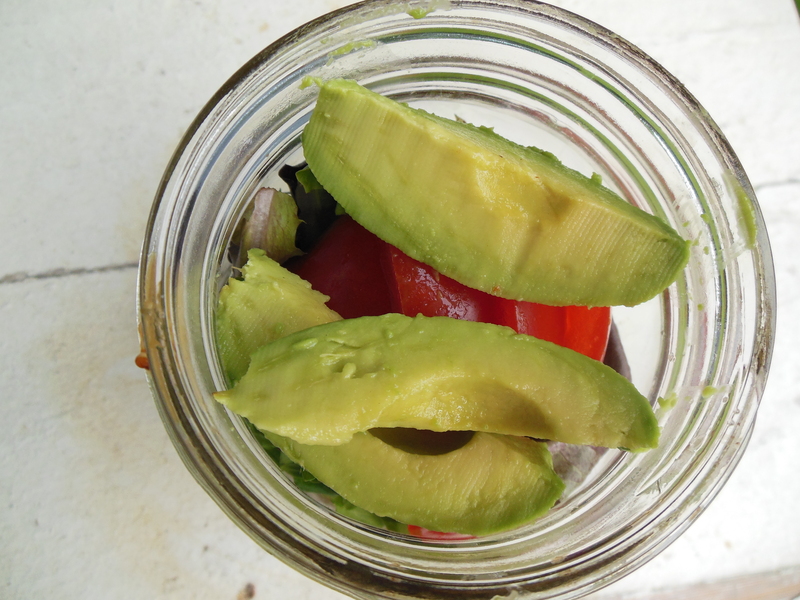 Remember, I’ve only given you the basics of the layers and what works best regarding type and weight of veggie, but the above is just an idea of how you might layer your salad in a jar. Truly, there is no rule regarding the amount or type of ingredients to put in each layer or that you must include “6 layers.” What’s important to remember is Layer 1 should be your salad dressing and Layer 2 should be your heavier, hearty veggies — the rest is up to your imagination and taste.